OEM MINI Sport Antenna made by MINI. This is a shorter antenna made by MINI to look better than the standard long antenna. 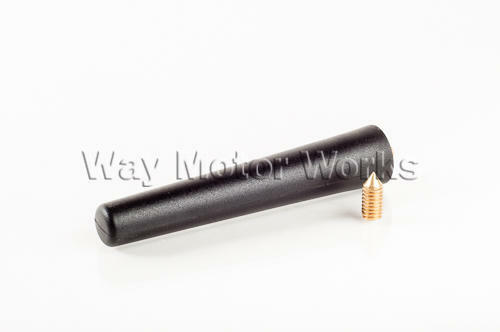 This OEM MINI antenna is made of plastic with metal coil going down the center of it. Antenna comes with 2 screw adapters to make it fit ANY MINI.